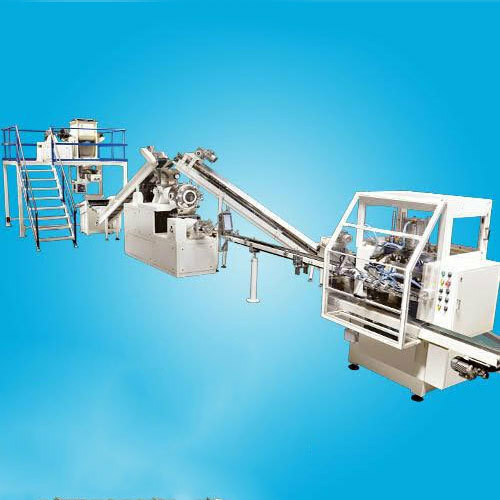 Industrial Detergent Soap Plant high-quality machines and plant for multifarious industries. Sri Subu Industries commenced its business operations in the year 2005, and today has been regarded as the most trusted Manufacturer and Supplier firm of world class quality Vacuum Plodder and Mixing Machine. Our profound attentions to bringing quality display in our offered assortment of industry proven Toilet Soap Stamping Machine, Toilet Soap Cutting Table and Toilet Soap Die. Our line of next generation outputs is well supported across the nation for its highly advantageous features of unique simple and safe operation, power saving performance and competitive price bands. An extremely dedicated team of experienced professionals and state of art manufacturing methods earned us the coveted levels of ability to listen to the challenging demands of our esteemed patrons across the nation. We strive to bring forth our stern responsibilities to quality by developing industry proven designs for plodding and mixing. Further, to attain extraordinary levels of client compensation we are executing advanced techniques and developing the quality tested machinery in standard and semi-automatic models. We are involved in leveraging the best business methods by adhering to the set industry standards, and take satisfaction in our ability to create the niche in selective markets across the nation.